PayPal is considered by most to be the worlds leading payment provider, trusted and used by consumers and businesses worldwide alike. They have 2 different types of accounts you can use, a free business account (Payments Standard) and a paid account (Payments Pro). 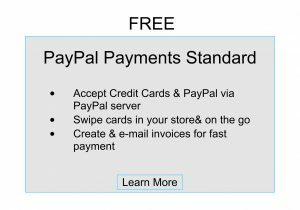 PayPal is by far the quickest and easiest way to get started with a payment gateway. 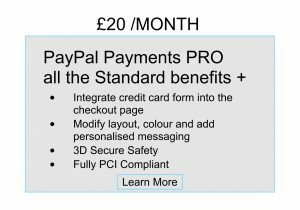 We offer a specific PayPal friendly feed, as there are certain products they will not permit you to sell. If you are caught selling any products they do not allow, they will close your account. Secure Trading has an exceptional history of helping SMEs start processing online payments, grow their revenues and expand into new markets. They deliver everything you need for online payments – merchant services to set you up with a business bank account (subject to eligibility), a payment gateway to process your transactions, and a virtual terminal that will let you take payment by phone and mail order…..Learn more. Simplest API around, so that managing your transactions is easy for anyone in your business. A Speedy and straightforward integration process managed by a top support team. A payment platform with a 100% uptime record, so you can process payment 24/7. Consultancy and extra services so you can enhance your online offering as you grow. Click HERE and register for our dropship service today!